Sensational Food Texture - What is It? - How to Analyze it? This statement has long been my philosophy when it comes to cooking. The dishes I create usually taste okay – even really yummy, occasionally – but I stink at presentation. Family and friends are usually quite forgiving when it comes to their sensory (sight, touch, smell) experiences with a food. They tend to ignore looks and feel, and focus on taste. Food buyers aren’t so forgiving. If their sensory experiences don’t meet expectations, that crucial first taste will never happen. Flavor isn’t everything, either. If the food doesn’t feel right, or pleasant, the first bite will also be the last. This feel, or texture, is an important aspect of the customer’s sensory experience with a food product. For some foods, texture is an indication of the product’s freshness or ripeness. It also plays a significant role in most people's enjoyment of a product. Chef Mario Batali claims that adding the word “crispy” helps sell a customer on a dish. 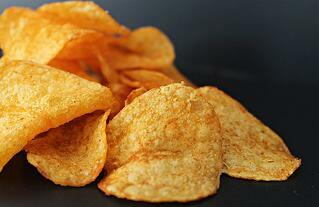 “Crispy” makes them think of the pleasant experience of eating “crispy” foods like potato chips. He feels that adding "crispy" to the description of a recipe equates the dish with this pleasant experience. Other texture terms, such as “creamy” and “chewy”, are also popular in narratives about food. Beyond the label, people have texture expectations based on the type of food. For example, cereal should keep its crunch even after it’s been drenched in milk. Crackers should be crisp, but not so fragile that they turn into crumbs in the box. What are the Characteristics of Texture? 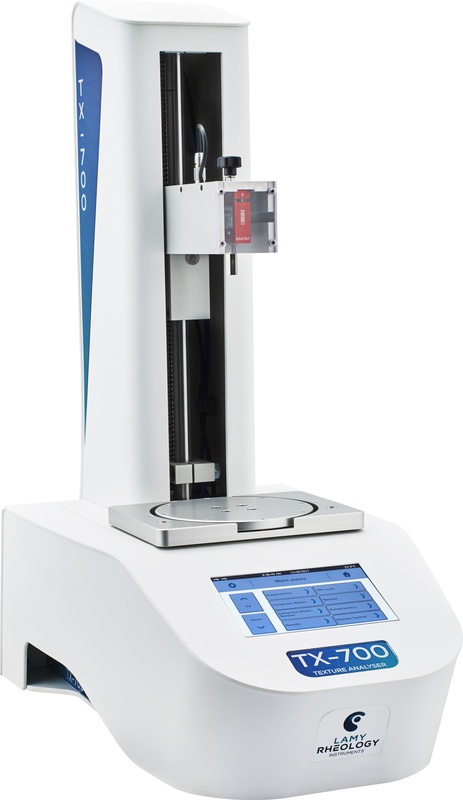 Characteristics such as hardness, crispness, adhesiveness, fracturability, elasticity, gel strength, stiffness, and chewiness can be measured by texture analyzers. Before there were texture analysis instruments, trained professionals acted as texture analyzers, observing and recording their own subjective experiences with a product. Recently, instruments that provide a more objective and scientifically repeatable method became available. Many food processors still use human testers sometimes as a check on the instrument results. Food Texture Analyzers range from models that measure a single characteristic to models that will provide a texture profile of multiple sensory attributes. Some of the advanced multi-attribute texture analyzers come with multiple stages and dozens of probes, and offer the customer the ability to customize the test procedure to their unique requirements. One of the test methods using a texture analyzer is a procedure that simulates chewing by repeatedly compressing the sample with a probe. This is called a “Two Bite Test”. (Learn more about this test here.) Other texture attributes such as gel-strength, fruit ripeness and meat tenderness have their own special probes and stands to do the job. Where Can You Use Texture Analysis? Texture analysis is used throughout the supply chain. R&D departments evaluate alternative ways to produce defined textures in recipe development, and Production departments evaluate texture to ensure consistent feel in the output of the manufacturing process. Texture Analysis is a valuable addition to modern food processing. In today's market, customers have wide-ranging expectations about the sensory characteristics of their food. Modern texture analyzers provide the food manufacturer with the ability to engineer these characteristics into their products and control them in and out of production. P.S. Subscribe to our blog posts at the top of the page so you never miss an update! P.P.S. To learn more about how you can use Texture Analysis in your process, give us a call at 800-621-4778.